Clutter-free living. Many satisfied clients. 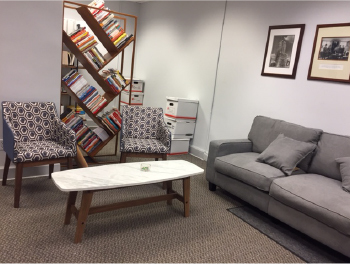 I was hired for my decluttering experience in a 2-person office in the Loop which also needed furniture purchase and new layout of their office space. For that part, I brought in a Design Consultant who is used to working with clients with small(ish) budgets who was very helpful with the project. Please call me directly for a referral if you need her services. 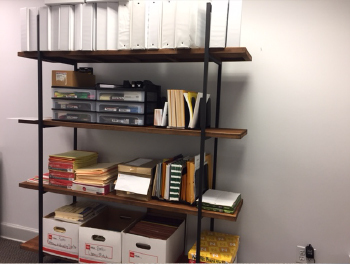 The clients told me they’re both visual people, “out of sight; out of mind.” Even though they hated their filing cabinets they realized they were the best solution for archived board meeting minutes and other papers they had to keep. 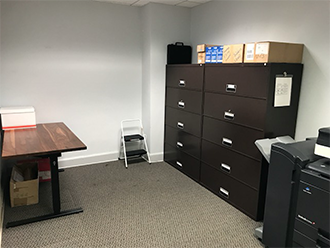 We had several sessions identifying all the categories of office supplies they had crammed in the top two shelves and tops of filing cabinets in the supply room. I helped them to make decisions about what to get rid of and remind themselves of items they had but didn’t remember. 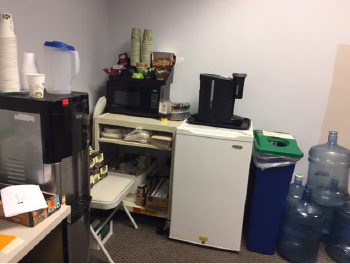 We sorted and grouped like items so they could assess their inventory to avoid placing unnecessary orders at Office Depot; and we contained the items and placed them on an open bookcase situated in the back of the main room so they can see all their supplies and nothing was hidden! We placed small/loose items in stacking plastic drawers taking advantage of vertical height in the bookcase. A key point here was to LABEL each drawer with the contents. The clients expressed frustration in not having a professional office to invite people into and always chose nearby cafes to meet with colleagues. 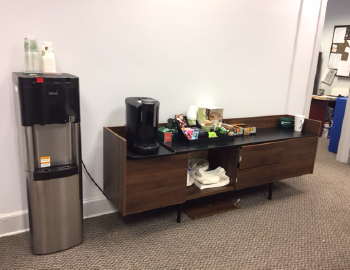 We moved the coffee station into the main room from the supply room and purchased a credenza to hold the coffee maker/etc. and cupboard below for extra supplies, small couch, 2 chairs, and coffee table. They now have a very inviting place to have people stop by. The head employee got a proper desk with drawers and credenza and bulletin board and his makeshift desk got repurposed in the supply room as a surface for them to use to put together conference materials. The second-in command got an open file sorter to use in addition to her filing cabinets. This is a good solution for the visual person. Check monthly for Terri’s advice on residential professional organizing! July 2017: Even your organizer needs to get organized! June 2017: I want to use my home office again!